Industrial Foods Supply Co., Ltd. was established in 1993. The founder and Managing Director is Mrs. Kunnikar Nilapant. We started with the ice-cream topping business. Then we relocated our factory to the current location, Saimai District, in 1995. The company has grown significantly, and expanded the product categories in response to the growth of our customers. The factory’s quality is our utmost importance. We received many certifications to guarantee our core value of best quality. Our products get qualify by The Office of Islamic Affairs Committee of Bangkok Metropolis. 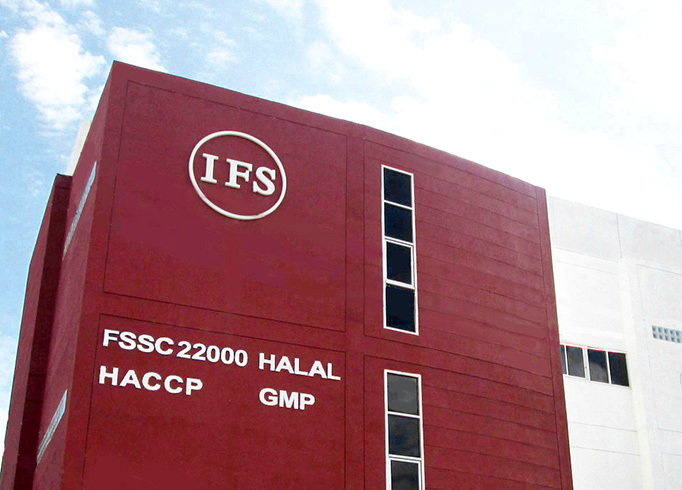 Certification Scheme for Food Safety Management Systems including ISO 22000:2005, ISO/ITS 22002-1:2009 and additional FSSC22000 requirements. HACCP and GMP System under Codex Alimentarius, Annex to CAC/RCP 1-1969, Rev.4(2003). Online database which allows member to store, share and report on information on four key areas : Labour Standards, Health&Safety, The Environment and Bussiness Ethics. Industrial Foods Supply Co., Ltd. focuses on serving international companies in terms of production and outsourcing. The factory’s quality is our utmost importance. We received many certifications to guarantee our core value of best quality. © 2014 Industrial Foods Supply. All rights reserved.